The Far North is full of great activities for every member of your family. Whether you are a thrill seeker, relaxation specialist or water-sports lover, we have a wide selection of great water activities, family adventures and relaxation opportunities to suit everyone. 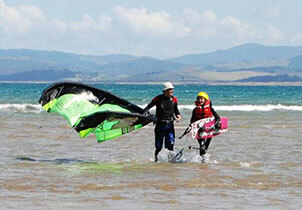 If you love water sports activities, try your hand at kite surfing, surfing, fishing, diving or kayaking. If you’re searching for a relaxing get-away, perhaps lying on the beach for the afternoon, wine tasting at the local vineyard or a round of golf is more your style. Local attractions include: Matthews Car Museum, Te Ahu Centre, Gumdiggers Park and Ancient Kauri Kingdom. The opportunities are endless, discover some of them for yourself below. Far North Fishing Charters is owned and operated by Colin Corbett & Mary Prestidge and based at Whatuwhiwhi on the Karikari Peninsula in the Far North of New Zealand. 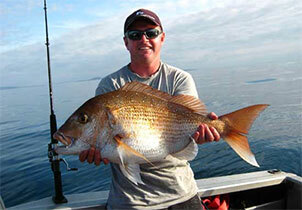 Enjoy fine inshore fishing around Karikari Peninsula, Karikari islands, Doubtless Bay, Rangiputa, Rangaunu Bay, Houhora and North Cape – as featured on numerous TV Fishing programs. Kayaking is an ideal activity for families, individuals and groups because of our stunning location. Kayaking gives you the opportunity to see the beautiful coastline along the Karikari Peninsula and soak up some sunshine. You can go at your own pace and enjoy the marine and bird life. 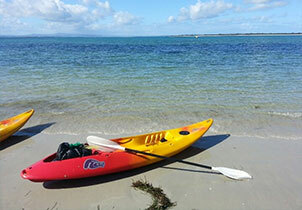 At Reef Lodge Motel we have Kayaks available for your use or you are welcome to bring your own. Rangiputa is at your doorstep so drive, swim or kayak in! 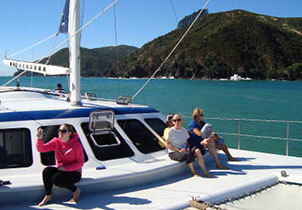 Day sailing trips and overnight charters on stable catamaran Zig Zag from Mangonui, Doubtless Bay, Northland, New Zealand. Zig Zag is a highly-stable 58 foot catamaran with easy access. 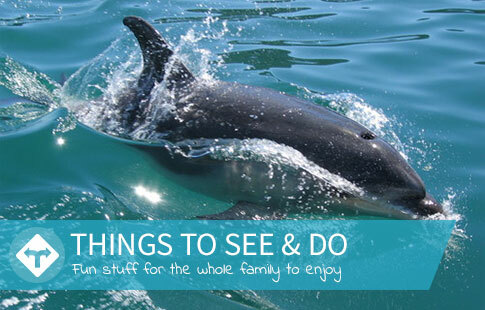 View Dolphins, snorkel, swim, relax, sunbathe, sail, island picnic and sightseeing of the beautiful Far North of New Zealand. Surfing and Paddle Boarding are great water sport activities at Puheke Beach and Ahipara. NZ Surf Bros are Providers of New Zealand’s highest quality surf camps, surf tours, learn to surf lessons, and surfing in school programs. We’re transforming Ahipara into Surf-Bro Town by providing Bro-fessional surf experiences to the rest of the world. 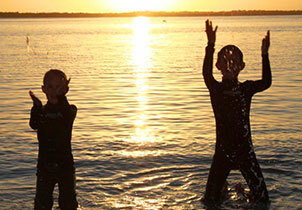 We provide surf camps, surf tours, learn-to-surf lessons, surfing in school programs and surf gear hire. 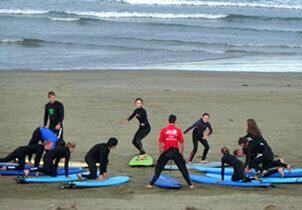 Tokerau Beachboys love teaching and introducing Standup Beachboy surfing. They work with the community with special needs and under privileged youth and people that just need a little help to accomplish their goals. Rangiputa beach is known world-wide for its perfect kitesurfing conditions.Kiteboarding is a surface water sport that combines wakeboarding, windsurfing, surfing, paragliding, and gymnastics into one extreme sport. If you just love thrilling water sports, kitesurfing will be right up your alley! One of the best ways to experience the wonders of the Rangiputa sealife is snorkelling. It is much easier than diving and snorkelling is something you can do with little experience. The waters at Rangiputa are crystal clear with beautiful white sand so it is great fun for children to try spotting crabs and star fish or even small fish in the shallows. Alternatively a relaxing swim is a wonderful way to start your day at Reef Lodge Motel. The beach is safe for young children and because it is relatively undiscovered, even in Summer there is plenty of room to run and play! 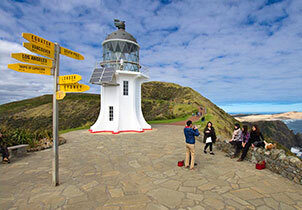 Visit the must-see 1941 Cape Reinga Lighthouse, the very last manned lighthouse to be built in New Zealand. Spot the meeting of the Tasman Sea and Pacific Ocean stunning views and Cape Reinga world-famous international signpost. Climb the spectacular northern sand dunes and let yourself loose all the way down on free of charge boogie boards. 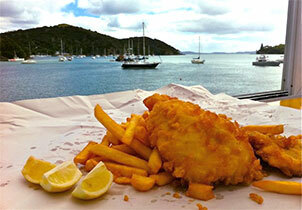 The Mangōnui fish and chip shop provide what some say as ‘some of the best fish and chips you’ll find.’ Straight out of the sea and cooked anyway you like, it’s fresh! A visit to this quaint seaside town without stopping at this chippie shop is like going to the Louvre and bypassing the Mona Lisa. There is a great selection of golf courses near Reef Lodge Motel including Peppers Carrington Resort, Whangaroa Golf Club and Houhora Golf Club. The Northland golf course at Peppers Carrington Resort is located between sweeping ocean views to the North and East, and hillside vineyards of Karikari Estate to the South. 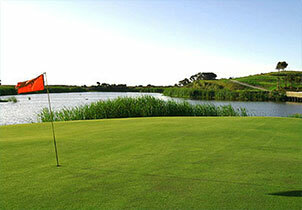 The championship standard 18 hole Carrington golf course was designed by American golf course designer Matt Dye and is 6417 metres (7267 yards) in length, par 72, and encompasses a variety of terrains from vales to challenging water holes. Whangaroa Golf Club is on the main road, State Highway 10, Northland New Zealand, a few kilometres east of Doubtless Bay in the Far North, Whangaroa is an 18-hole course with mown fairways flanked by mature trees. The greens are small but the rating is more than three shots under the par of 70. The club is healthy, with more than 200 members and a strong Junior following. Houhora Golf Club is on Far North Rd, north of Houhora. It is a 9 hole golf course with beautiful views and is easy walking. The Far North is lucky enough to have some great wineries including Karikari Estate, Okahu Estate and Butterfish Bay Estate. Karikari Estate welcomes you to their cellar door and café which overlooks the vast blue Pacific Ocean and the North Cape of New Zealand. Whether it’s a tasting, a meal, or a weekend experience, Karikari Estate Vineyard and Winery is a whole new experience to savour and enjoy. 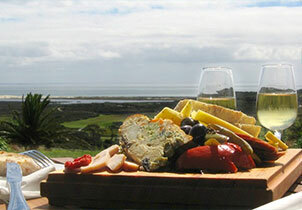 Okahu Estate’s Cellar Door offers free tastings of their award winning wines. There are cellar door prices and a selection of their rare and hard to find wines. The cellar door also offers a range of local sauces, olive oil, chutneys, nuts, jellies and jams, as well as Shipwreck Bay souvenir t-shirts. The home of Butterfish Bay Estate, Paewhenua Island, is a north facing peninsula in the upper reaches of Mangonui Harbour overlooking Mangonui village and out the harbour entrance to Karikari Peninsula. It features a coastal farm park development of 26 residential house sites with the separately owned 13ha vineyard as its focal point.